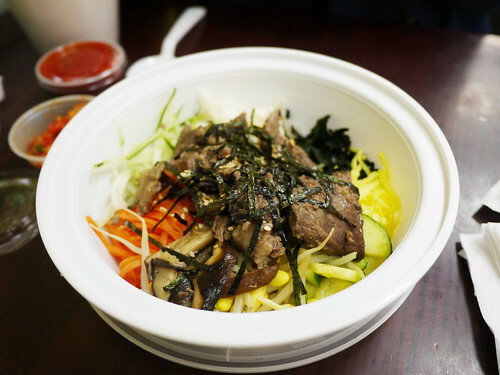 In brief: The bibimbap is consistently good at this little cramped joint in the back of a deli. With Koreatown nearby, but not quite nearby enough, and the lack of Asian food options (at least compared to our last office near Chinatown) this place is one of our saviors. It's really unfortunate that it's not a proper restaurant, the atmosphere is less than desirable and lends itself to takeout. I can't say for everything on their menu, but their bibimbap is way above average and keeps us happy.